Go to the without jaws, yes but how? Over the past few years, more and more riders have been turning to the mount without Jaws. I decided to write on the subject because I am one of those riders. First of all, this is not done in one day. It takes patience and perseverance in the work to succeed, it is even essential from my point of view. Before I started blind, I searched the Internet. I found a group on Facebook that also holds a blog that we can find right here. It offers articles concerning the passage to the without jaws but not only, it also offers various exercises to do on foot but also on horseback. Once informed on the subject, I started by buying the necessary material to work, a halter ethological with a lanyard ethological and a stick of communication. If you are looking for material, a list is created for you here. I chose Pat Parelli's method. His method brings together 7 games to do on foot, you can find it there. I chose this method because for me it takes up all the basics of a jawless burst. It teaches you how to communicate with your horse, to set up codes that you will use on horseback. 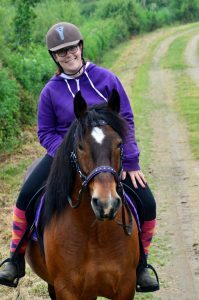 This method allowed me to have a mare more tuned and much less hard in the direction. The game that I find most important is that of the porcupine because we act on the horse with pressure. We wait in return for him to give in. So we get a light and responsive horse. There are other methods like that of the supposed for example. 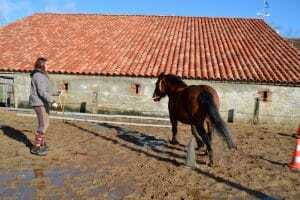 Everyone is free to choose the method that will suit his horse. I have voluntarily spent a lot of time on foot with many remissions in question. 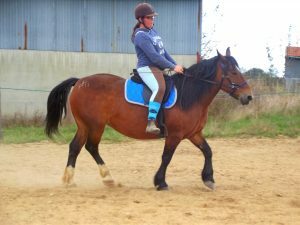 You should know that if the horse does not do the exercise correctly, it is that it does not understand your request. It's never the horse's fault. Working alone without anyone to tell us whether our position is good or not is not easy at all. Try to surround yourself with professionals, this will only benefit you and your mount. I was fortunate enough to find someone who practiced the same method as me. He could give me a lot of advice and correct me on my position. Once the foot bases are acquired, they can be replicated on horseback. be forgotten that this tool can be very severe with a hand that hardens easily. I opted for a side pull that is for my part softer with its flat and wide noseband. There are still imperfections but it is by continuing to work on foot and on horseback that it will become even more fluid. There is also the bitless but I am not very fan of its functioning (it acts by tightening at the jaw and by pressing on the neck and the chamfer. It sometimes happens that it slides poorly and stays tight). The hackamore for me is far too harsh for my mare. It is up to you to choose the ennasure that is right for your mount. Many horsemen and riders think that the mount without jaws is much less precise, contrary to the use of a piece of metal in the mouth of their frames. But this is just a stereotype, with good education and work, anything is possible. 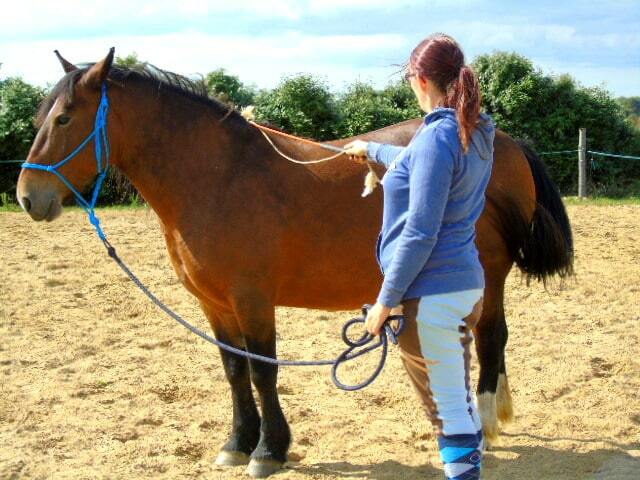 Today I go outside on rallies without problems and I intend to do my first TREC in side pull. And you what was your method?